Do you toss out food that passes its expiration date? If so, you’re not alone. Some $165 million worth of food products got into the trash every year because the label says it is expired. sadly, the labels are misleading us. As it turns out, food expiration labels on the vast majority of products are nothing more than estimated guesses from the manufacturer. There is no science behind figuring out when a food actually expires. For a variety of reasons, some foods can expire before the date; other foods can be safe to eat long after the ‘best if used by’ date has passed. The whole fiasco with dating food started back in the 1970s. Grocers would label foods to give customers an estimation of how long it would last. The U.S. government got involved and began demanding manufacturers add labels. These labs worked out to the manufacturer’s advantage. Instead of eating that loaf of bread or container of yogurt that expired yesterday, people toss it and go buy more. Offering deadlines for food freshness turned out to be a sneaky way to get customers to buy more food from them. The best way to tell if a food has truly gone bad is with your own senses. Does your food smell bad? Odd in any way? Does it feel slimy or sticky when it shouldn’t? Is the texture off? If you notice something off, toss it. If it smells, looks and tastes fine, don’t worry about. Most foods that have mold should be tossed– it means there are invisible mold spores there as well. The only exception to this is hard cheeses, in which case it’s okay to cut off the moldy part. Raw eggs are easily tested. Put them in a cup of water. If they sink, they’re good. If they float, they’re going bad. 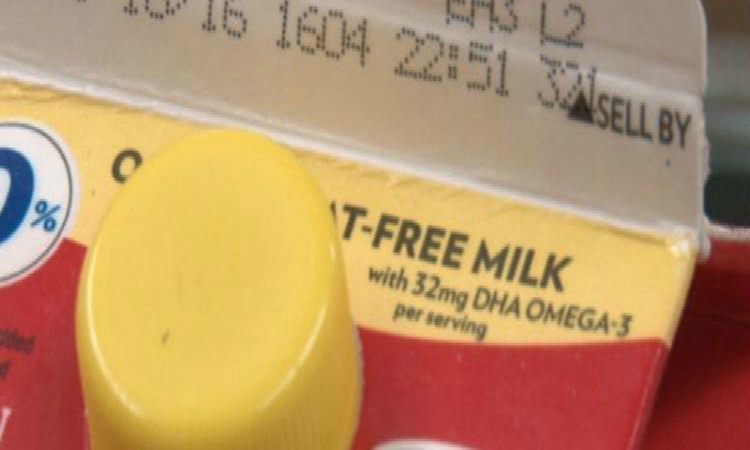 Certain food labels should be strictly followed, such as baby formula. Otherwise, don’t let food labels fool you. The manufacturer’s guess is no better than your own guess.